The MBI Educators Survey was used to measure burnout in 121 elementary school teachers at an urban Midwestern school district. Key findings: teachers experiencing high stress, high burnout, and low coping were associated with poor student outcomes, including student academic achievement. Did you use a Mind Garden instrument in your published research? 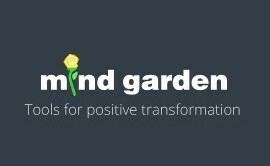 Let us know about your research by sending an email to our team at info@mindgarden.com. Burnout is a severe problem affectign medical personnel and healthcare organizations. Learn more about burnout, how to assess burnout in your organization, and how to design meaningful solutions on our resource page. Read more now! This report presents results on the six SSI scales measuring how you express, receive, and control verbal and non-verbal communication. Development content includes strategies for improving social skills and how to get started with your social skill development. Buy now! Click here to view our email in browser.